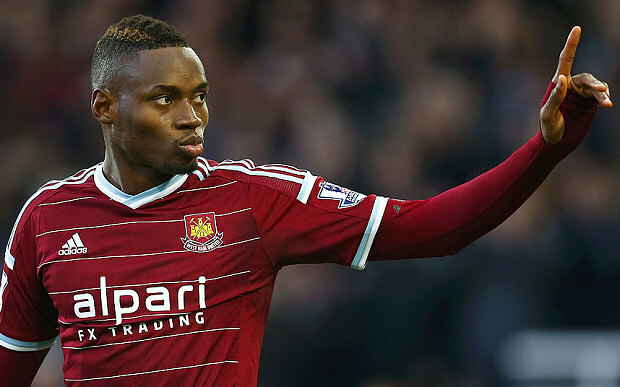 West Ham United forward Diafra Sakho has suffered yet another injury setback with the Senegalese forward set to face up to four weeks on the sidelines. The 26-year-old scored within two minutes in a 1-1 draw against Manchester United at Old Trafford this past weekend, with the match only his second of the campaign. In what has already been an injury-plagued season for the forward, Sakho has suffered yet another setback with news that a hamstring problem will keep him sidelined for up to a month. The Teranga Lions will be keeping a close eye on his progress, with the 2017 Africa Cup of Nations set to get underway in early January.